When to grab the Bladder? When to attack the goal? When to pass? Question posed by the superior and revolutionary new strategy game BLADDER! 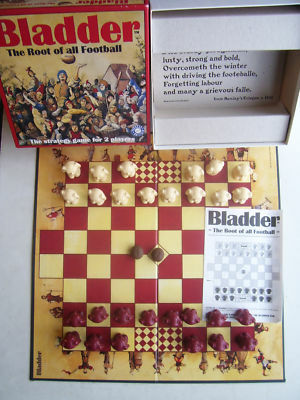 Based upon the medieval game of ''Footballe'' BLADDER is the ultimate power struggle...Well worth missing Long Bow practice for!